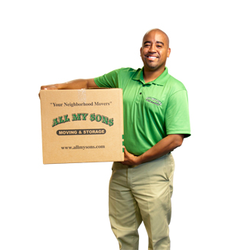 All My Sons Moving & Storage is the largest employee owned moving company in the country. As such, everyone here takes pride of ownership and is fully invested in your successful move. We are committed to building lasting relationships and being the last mover you’ll ever need. We are very proud of our many repeat customers and referrals and look forward to having your join our family.